Enhancements to the Review Step While Uploading Your Dataset to Tuva. Once you have chosen your dataset, you can now review it thoroughly before uploading it to Tuva. Updating the Title as well as the Source of the dataset. Updating the Privacy Settings of the dataset. The default privacy setting is “Only Me”, but you can update the setting to “Anyone with Link” if you want to share the dataset with others. 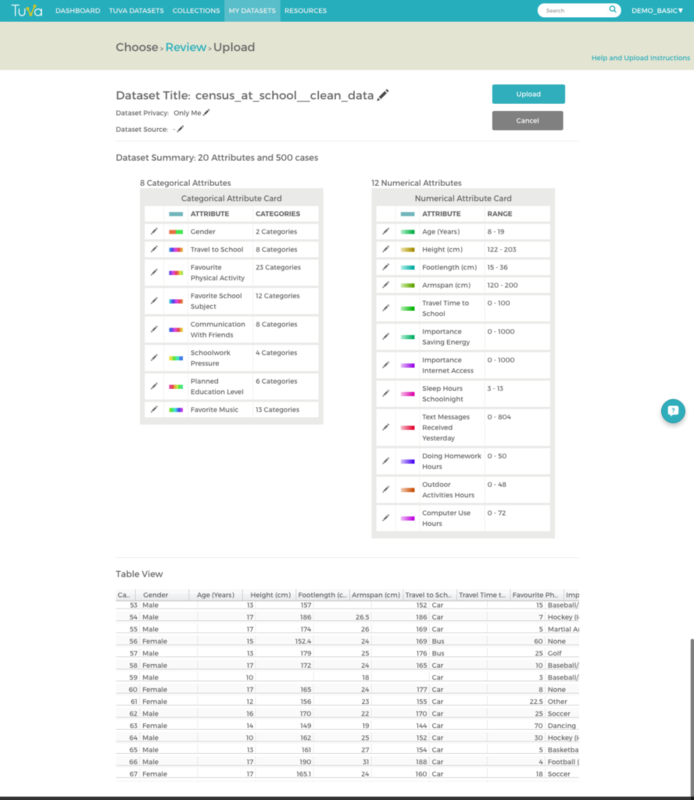 Updating the Name and Description of the attributes of the dataset. Updating the Type of the attribute, allowing you to choose between Categorical or various Numerical formats. Updating the Order of values for an attribute, choosing between Ascending or Descending order. Remember – you can always make changes to the attributes from the Case Card if you have already uploaded the dataset to Tuva. Author Harshil ParikhPosted on August 17, 2016 September 25, 2016 Categories New FeaturesTags New FeaturesLeave a comment on Enhancements to the Review Step While Uploading Your Dataset to Tuva.